Widespread adoption of collaborative robots (cobots) is only a few years away. Cobots are expected to jump from 3% of robot sales to 34% by 2025. Enterprises have grown increasingly comfortable with machines augmenting human productivity, and are now fully realizing the physical contributions cobots can make. The tipping point has already passed in terms of price, utility, and safety--all former barriers to cobot adoption. What is a cobot? A cobot is a robot that is designed to work with, or in close proximity to, humans. These are not the huge industrial arms one sees assembling cars on TV, but smaller, less powerful models that can help humans with repetitive or dangerous jobs that may also require a high degree of precision. In spite of the economic benefits, there are still some barriers to cobot adoption. Enterprises are concerned about the possible dangers that cobots might introduce, both physically and in terms of job security for humans. In addition, the technology to this point has outpaced the regulations and standards, so there haven’t been clear guidelines for introducing cobots to the workplace. Lingering safety concerns, thanks to dramatic stories of injuries and deaths, come to mind when considering cobots. The reality is that robot-related injuries and fatalities are rare, even for large industrial models. OSHA statistics identify only 27 robot-related fatalities between 1984 and 2013 and all were related to professional service robots, not cobots. In contrast, the total number of workplace fatalities in 2013 alone was 4,585. Fatalities from smaller cobot units are small or nonexistent. As for workers’ concerns over job safety, there are sensible applications that are perfect for cobots that, rather than eliminating jobs, free up experienced workers to apply their human creativity and problem solving for the benefit of the company. If you are considering cobots for your enterprise and need some guidance on how to get started, consider these tips below. Cobots are best suited for repeatable or repetitive tasks, possibly in dangerous areas or with dangerous materials. Cobots are excellent at repetitive tasks that require consistency or precision, such as pick and place tasks or gluing and welding components. After identifying a work opportunity for a cobot, consider the working environment that will have to be set up around the machine. These considerations will help the enterprise evaluate not only the feasibility of the cobot implementation, but also the potential safety needs of the cell. Most companies know how to set up cobots, but few know how to create a safe working environment. Enterprises should seek out experts in cobot implementation, early in the process, before anything has been built. Certified consultants experienced in industry best practices as defined by organizations such as the Robots Industry Association (RIA), can provide tips on how to set up cobot cell and the local working area. Once the cobot cell is installed, the consultants can also assess and certify the cell for safety. It is important to understand whether your cobot cells need to be certified for safety. In the U.S., OSHA has a General Duty clause, where employers are required to provide a workplace free from recognized hazards, and which conforms to the safety standards within the industry. This means the company will have to understand industry and relevant cobot safety standards, or hire an organization that does. A real world example of how upfront design reviews by an expert can improve cell safety involves the use of a collaborative robot for an on and off type application. In the design being evaluated, a human worker puts material in a special location. The cobot then picks up the material and transfers it to a machine where further refining of the material takes place. The cobot and worker will be interacting constantly over an 8-hour work period, with a high risk of contact between the cobot’s end effector and the worker’s hands/forearms. Upon reviewing the setup, the expert notices a significant issue: while the cobot does move slowly, when turning around, the cobot presents itself directly in line with the worker’s face. As noted in the standard RIA/TR 15.606, cobot contact with a worker’s head or face is not allowed. In reviewing potential solutions, the expert suggests that if the cobot were to lower itself prior to turning around and presenting itself to the worker, contact with the worker’s head or face would likely be avoided. A small change results in a substantially safer work environment. Limit the cobot’s interaction with other workers as much as possible. The more interaction there is between cobots and humans, the greater the risk of an accident. Then train the facility in what cobots are, how to safely interact with them, and how to operate them. Provide a wide and general understanding of cobot safety so personnel will be able to help each other act safely around the cobot. Finally, demonstrate how the cobot will help humans do their jobs better or more safely. Workers may fear for their job security when a cobot is installed, so it may take multiple meetings to communicate that the cobot is doing a difficult job that humans don’t like to do, and that it frees workers to apply their skills and creativity more directly toward the enterprise. Cobots are becoming increasingly affordable, and can add dramatic benefits to safety, quality in production, and quality of work. However, successfully implementing a cobot strategy requires thoughtfulness during implementation, and sensitivity to workers’ concerns. By understanding the workflow and safety needs, and by selecting the right implementation partners, enterprises can successfully add cobots to their workforce. 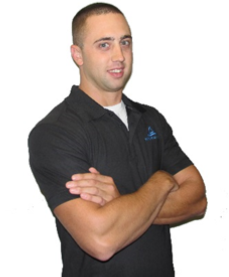 Ryan Braman is a Test Engineering Manager with TUV Rheinland. He has his bachelor’s degree in mechanical engineering from the University of Massachusetts Amherst. Ryan has extensive experience with safety standards for the semiconductor, manufacturing, packaging and robotics industries, particularly within North America and Europe. Ryan currently sits on the ANSI/RIA R15.06 and R15.08 committees where he participates with standards development and research activities.